Unless you have the luxury of a personal doorman to keep watch over your front door, a smart doorbell is your best bet in giving friends a warm welcome – or pesky solicitors the boot. Find out the best Ring doorbell in this head-to-head comparison of Ring vs Ring 2 vs Ring Pro vs Ring Elite doorbell comparison. Battery power Rechargeable. Must be uninstalled and plugged in to charge. Rechargeable. Swap the batteries for easy charging. No battery power. No battery power. Confused yet? If this graphic makes you more confused about the Ring doorbell comparison, then let us break it down for you in detail below. 1.8 Bonus Round: Ring vs Other Doorbells? 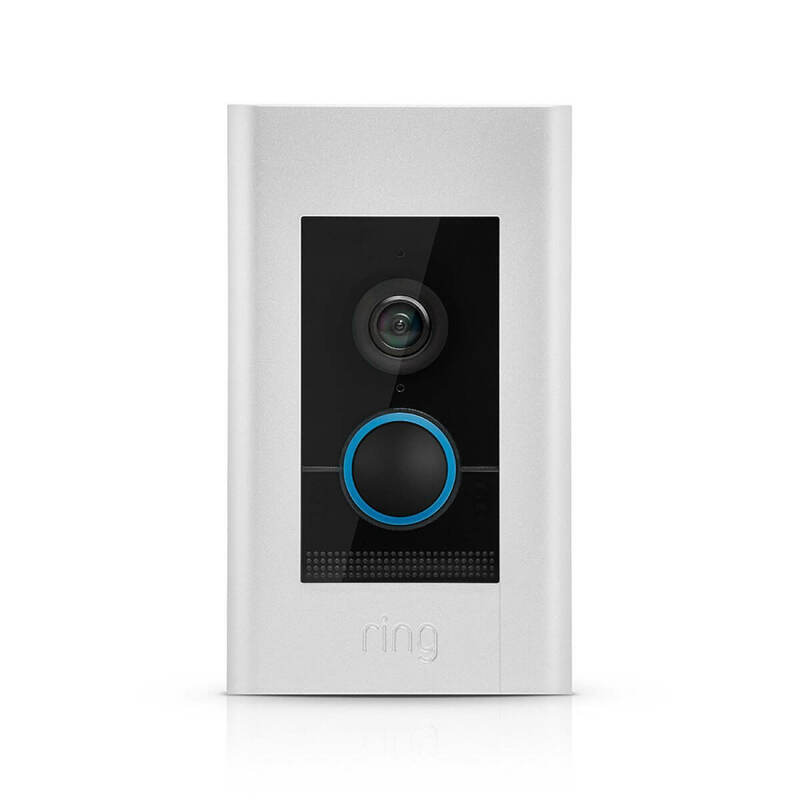 Ring has some of the best smart doorbells on the market. While each doorbell has its own pros and cons, all of them have a few things in common. These doorbells all use the same Ring app, either on iOS, Android, or Windows 10. Live video feeds that allow you to listen and speak to visitors at your front door using WiFi. App includes a collaborative feature. Ring’s app recently re-released and is available to everyone in your neighborhood, making it easy to share videos with neighbors. This is a great feature for collaborating and giving your neighbors a head’s up if someone sketchy is sneaking around your porch. Paid cloud storage required through their Protect Plans. The plans are pretty affordable, starting at just $30/year for the basic plan and go up to $100/year for Protect Plus. The advanced plan will also cover Ring’s monitored home security fees for protecting your home using sensors and a siren. However, this is definitely something you want to budget for when buying any of these doorbells. Change the look. All of these doorbells have different options for colors and design of the faceplate finishes. Two-way talk with a microphone and speaker to easily communicate with guests. This an essential feature of any smart doorbell since you can secure your front porch by scaring off intruders. Night vision so that you can monitor activity from dusk till dawn. While these all use the same Ring app, there are a few important hardware differences to note when comparing Ring doorbells. First, take a look at video quality, since the original Ring has 720p and the others have 1080p. Another important difference is in the faceplates: some have interchangeable faceplates, but they all come with a different number of plate options. Size is also something you will want to compare, and Ring Pro will get you the smallest doorbell of the bunch. You will also want to compare the battery options, since some of these doorbells are only designed for wired power. Finally, only the Ring Pro and Ring Elite offer custom motion zones, while the others have predefined motion zones, which can limit functionality. This is the original Ring doorbell that was released a few years ago. Since then, the newer versions have added and improved on this doorbell’s features. While it may not be the best Ring doorbell in terms of video quality, design, and more, it’s the most affordable Ring option. If you don’t mind some of its shortcomings, this doorbell could be a good option for starting out with Ring without spending too much money. Rechargeable battery: Note that this requires you to take down the doorbell and plug it in for recharging, leaving you without a doorbell for a day. Widest field of view at 180 degrees of horizontal view. The original Ring has a wider field of view than its later versions. This helps your footage detect guests sooner and record more action on the sides. Predefined motion zones: With Ring, you can adjust sensitivity on the unit’s predefined motion zones. This means you can’t draw your own areas to monitor, you have to select from the squares Ring offers in the app. It may not be a deal breaker, but does limit functionality. 720p quality. This is fine for recognizing faces, but your images will look less crisp compared to the advanced doorbells. The doorbell is also the slowest of the four, since it can only download and upload at 1MB per second. Bulky size. The original Ring is 4.98 x 2.43 x 0.87 inches. Its size feels larger than it needs to be for “smart” home technology, and it’s certainly larger than some of its more recent models when looking at Ring vs Ring 2 vs Ring pro vs Ring Elite. 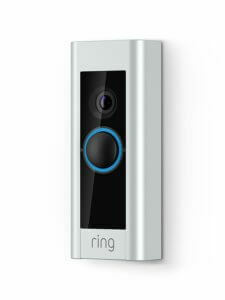 Ring 2 is an affordable option that improves on the original Ring doorbell. It still offers rechargeable batteries, but instead of uninstalling the doorbell, you can easily swap out the batteries. This, with a few other advantages over the original Ring, make it a compelling option. Rechargeable and swappable battery. Ring 2 greatly improved the battery experience of the original Ring. Instead of requiring you to unmount it during charging, its batteries are swappable. You can charge the batteries separately from the device and simply swap them out when they run low. This never leaves you without a doorbell and is a much more logical system. Predefined motion zones just like the original Ring. Interchangeable faceplates. Two are included with your doorbell. 1080p quality. This makes a huge difference in the Ring doorbell comparison since it’s a huge advantage over the original Ring. The leap from 720p to 1080p means you can easily recognize faces and more subtle features of your video footage. Bulky size. While it’s not the exact size as the original Ring, it’s very similar, so if you prefer a smaller doorbell, Ring Pro is the way to go. Ring Pro comes with quite a few upgrades, like 1080p footage, custom motion zones, and included interchangeable faceplates. It may also work with HomeKit soon, if Ring keeps their promises. 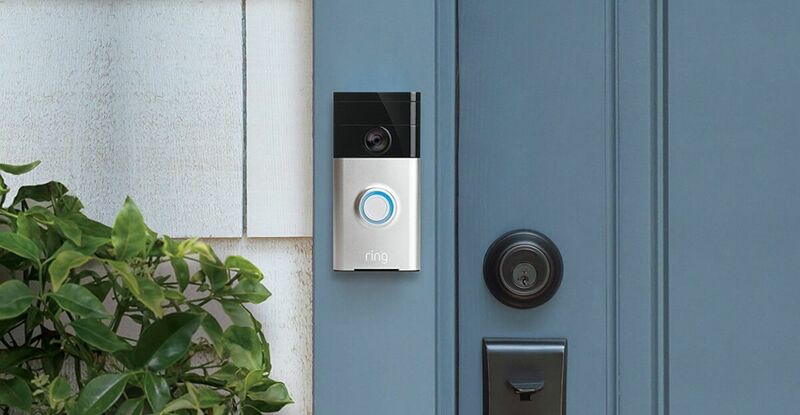 Note that you’ll only want to take the leap on Ring Pro if you have a wired doorbell connection, since there’s no battery option here. Interchangeable faceplates: Ring Pro offers the advantage of interchangeable faceplates. 4 faceplates are included with the Pro, allowing you to change the style without having to buy a new unit. This is a big perk if you decide to change the look of your front door or move homes and bring your Ring doorbell with you. 1080p quality. Again, this is a big upgrade when comparing with the original Ring. Smaller size: The change most visible at first glance is the size. The Ring and Ring 2 are similar in size since they are wider. 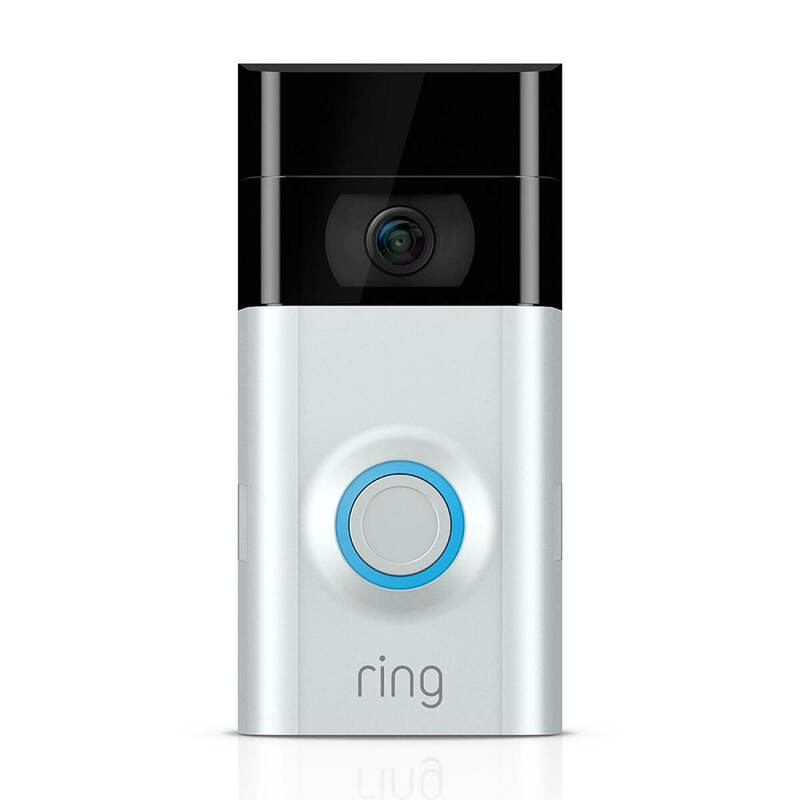 The Ring Pro is significantly smaller and more, well, doorbell-like. The Ring Pro boasts a slimmer, sleeker design with a silver-look bezel and a faceplate in black (or your choice of three other neutral shades). 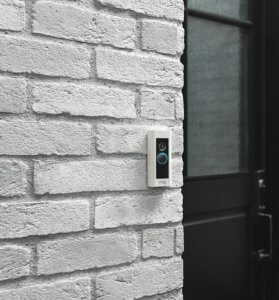 We love smart home technology that blends into everyday life, and the Ring Pro does a better job of assimilating into the look of your entryway than the Ring and Ring 2 doorbells. Custom motion zones. With Ring Pro, you no longer are restricted to choosing from Ring’s predefined motion zones, but instead you can completely customize your own areas for monitoring motion. HomeKit coming soon…? There have been whispers to bring HomeKit functionality to Ring Pro via a software update. The targeted date was mid-2018, but that has come and gone with no updates from Ring. In the meantime, Amazon purchased Ring for a hefty $1 billion – who knows if this will impact its future compatibility with HomeKit. The one thing we know is that Ring has not mentioned bringing HomeKit support to the other Ring doorbells at this time, so if you want HomeKit, then Ring Pro gives you the best odds within the Ring family. No battery functionality; requires wiring. Most likely due to its slick new dimensions, the Ring Pro has lost the option to operate via rechargeable battery power and must be hardwired in. This may or may not be a deal-breaker for your home technology needs, but it is definitely an important consideration in the Ring vs Ring 2 vs Ring Pro vs Ring Elite decision-making process. If you need a battery device, this is not the doorbell you’re looking for. The newest one of the bunch, Ring Elite has almost all of the same features of Ring Pro, but it has a higher price tag for Power over Ethernet functionality. The Ring Elite is designed to be professionally installed, so it’s a great fit for new homes or those who want a fast, reliable, WiFi-free connection. Largest size. 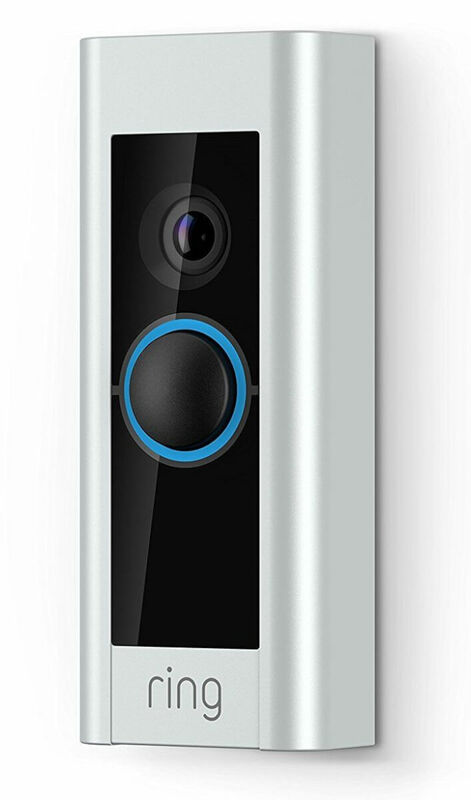 While it’s the most advanced doorbell, it’s also the widest. The doorbell flush mounts, but still looks quite large compared to a traditional doorbell. Power over Ethernet. By having a professional wire an Ethernet connection for this doorbell, you won’t have to deal with your doorbell losing its WiFi since it’s a wired connection. Custom motion zones just like the Ring Pro. Interchangeable faceplates: 4 faceplates are included. No battery functionality; requires wiring. Since this doorbell is designed for those wanting a PoE solution, no battery option is available. Which smart doorbell comes out on top in Ring vs Ring 2 vs Ring Pro vs Ring Elite? The original trailblazer, Ring? Or the shiny, new Ring 2? The best Ring doorbell really comes down to aesthetics and price. All units will get the job done, but only Ring 2, Ring Pro, and Ring Elite have the higher quality video. Ring Elite is the most expensive and doesn’t really make sense unless you specifically want PoE. That narrows down our comparison to Ring 2 vs Ring Pro. If we were buying a new unit, we’d opt for the more traditional-looking, high-functioning Ring Pro. Plus, its custom motion zones reduce false alarms since you can pinpoint exactly where you want to monitor. The Ring Pro typically retails for $50 more than Ring or Ring 2, but this seems worthwhile for its small size and potential HomeKit compatibility. The Ring Pro is our pick. The big caveat to comparing Ring 2 vs Ring Pro of course is that if you don’t have the capability to hardwire your smart home doorbell, then the Ring Pro is out of the picture. Instead, stick with the newly upgraded Ring 2, which combines the best features of both devices. You may also want to choose Ring or Ring 2 if you are wanting to save your cash and don’t mind the larger size. 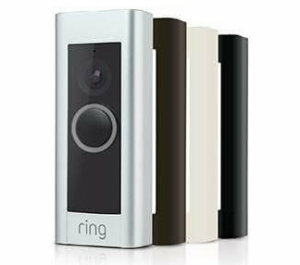 No matter which doorbell you opt for, you may want to compare them further on Ring’s website. Bonus Round: Ring vs Other Doorbells? While Ring, Ring 2, Ring Pro, and Ring Elite may be the most famous names in smart home doorbell technology, they aren’t the only major players in the game. We’ve taken a look at the features and specs of some of the other leading video doorbells on the market in Ring vs August vs SkyBell. We also compare Ring Pro to Zmodo Greet and reviewed RemoBell hands-on. An additional smart doorbell to keep in mind is the new Arlo doorbell, which integrates with Arlo cameras. 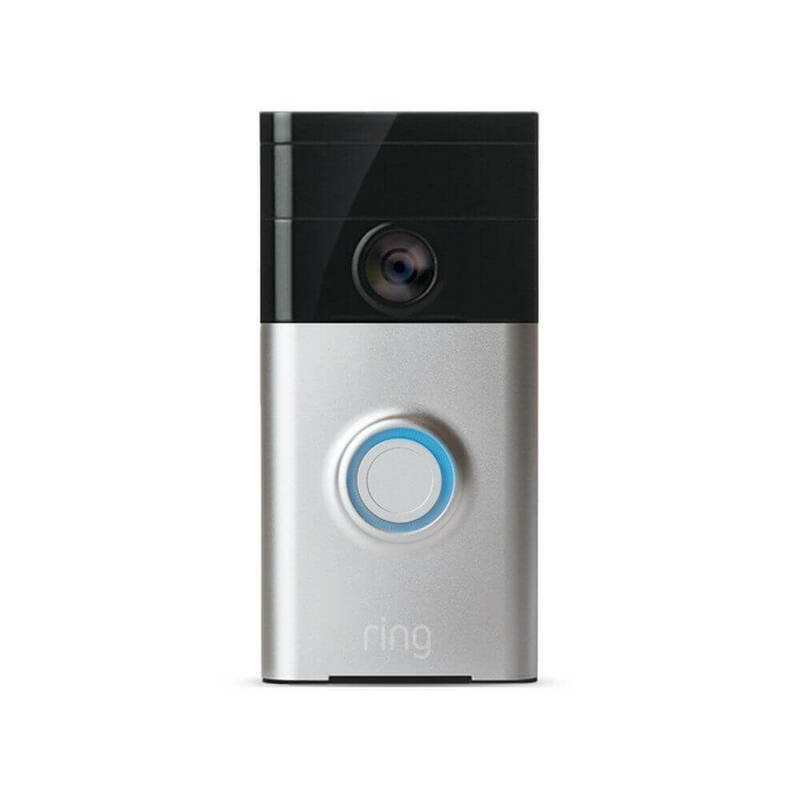 What’s the best Ring doorbell in the battle between Ring vs Ring 2 vs Ring Pro vs Ring Elite? Let us know if you love your smart home doorbell in the comments below. My Ring has poor signal quality even when held next to my router.It’s going back to Lowes. Could just be a defective product. Why not just get it swapped instead of just giving up? Also, having it so close to your router might actually have worse signal than if it is a bit further away. Ring advised me that Ring 2 would wirk better, so I upgraded. They did NOT nention that I would have to upgrade my internet speed fir Ring2 ! I’m getting fed up with Ring. gotta upgrade from dial-up sometime..
yea… um try a modern internet connection. LOL.. don’t blame ring that you dont have an infrastructure that can support modern smart devices. As sluflyer06 said… gotta upgrade sometime. When you upgrade your internet speed and wifi router, make sure that you can configure the wifi router that it can connect directly from the wifi router to the Ring DB (based on DB’s MAC address. you can find the MAC in the Device Health). That helps to speed up the data transferred from the internet. Can you elaborate on this please? are you referring to uPnP? QoS? or port forwarding? if so which port? I’m NOT upgrading my internet speed. The lines are overcrowded anyway. I MAY return the Ring based on misleading customer service. I have the original ring which I bought 2.5 years ago and it still works great. Yeah its not 1080, but the 3-4 people that come up to my front door a month, it fine and it hasn’t missed a beat when ups or fed x shows up.